This is one of those "just had to stop" and capture photographs that I took during an early spring snow squall while traveling to New Mexico trying to escape the storm. 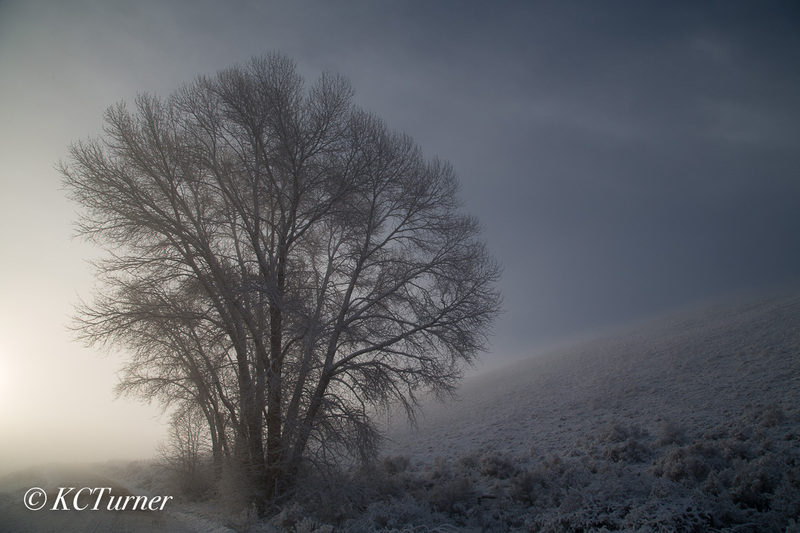 The awesomely delicate pastels during the "crack of dawn" sunrise yielded a natural monochromatic capture while driving along the nearby Conejos River. Photo © copyright by K.C. Turner.